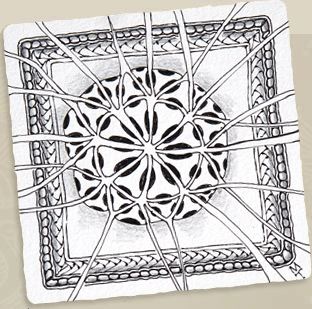 Zentangle graduates can attend free with their guest! Your guest may register separately at the regular rate of $35 - or you can register them here as your guest. Participant registrations that are canceled within 3 days or more may reschedule to another class taught by the same instructor. Please notify us by email of class cancellation and choice of rescheduled date at Nicole@theARTbar.net. Class registrations within 2 days prior to class are finalized and cannot be refunded, although they can be transferred to another person. 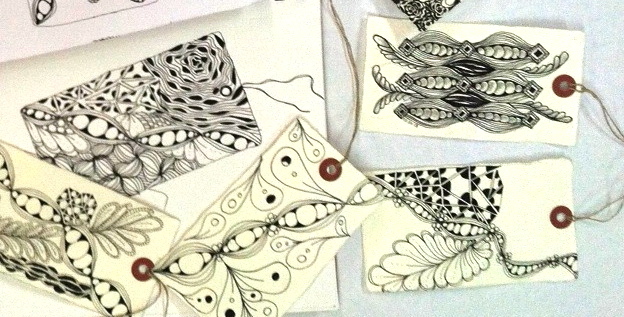 The Zentangle process is the practice of drawing repeating patterns, that leads to relaxation, focus and stress relief. In the end the patterns combine to make a beautiful and complex-looking image -- even though it is as easy as drawing repetitive lines and curves, step-by-step. Any age and artistic ability will feel successful at this! And we make it very easy to follow along! 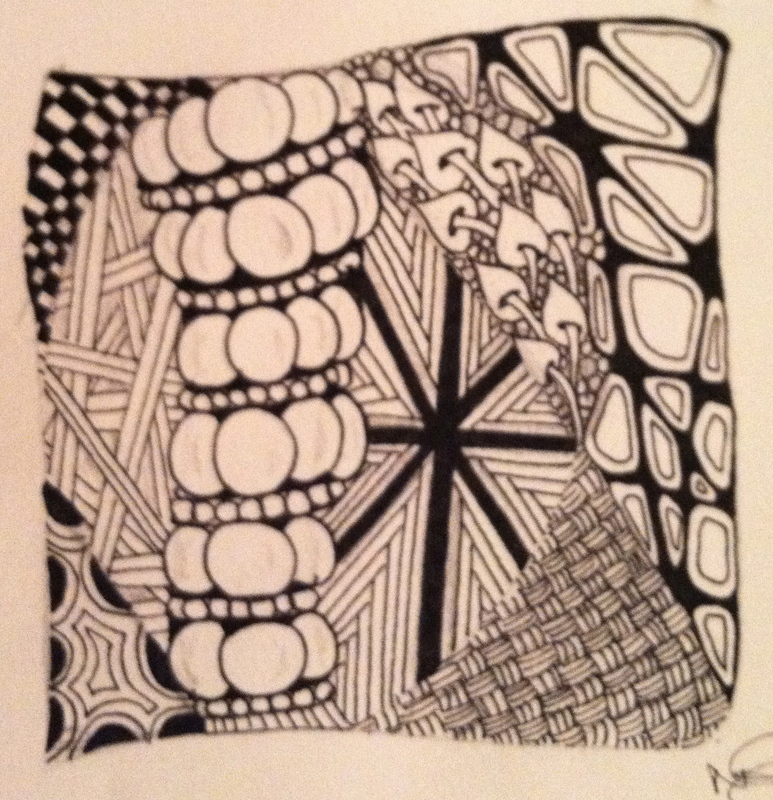 Once you take this class and learn the philosophy and HOW EASY it is, you can take ANY of our Zentangle classes! Just bring your kit along . . .